With dried egg product, you get all of the benefits of a fresh egg without worrying that the egg will go bad. Dried egg product acts like real egg because it is real egg. It’s simply dehydrated. Dried egg products are non-perishable, and if they’re made and stored correctly, they can last for a long time. They’re created using a similar process to powdered milk, forming a soft powder that can be incorporated into a number of different edible products. The method is called spray drying, and it produces a powder by rapidly drying a wet substance (like eggs). Dried egg products contain all the nutritional benefits of a fresh egg. They offer protein, immune-boosting properties, antibacterial qualities, and more. Dried egg products are the highest quality protein available to pet food manufacturers. Their form is highly digestible, and they provide a great source of antioxidants and nutrients. Dried egg products are smaller in volume when compared to fresh eggs, which means they can be accommodated in a smaller package. They also have a reduced weight per volume. Dried egg products are very affordable. You will be able to increase your sales and popularize your brand without spending a lot of money. Dried egg products have a long shelf life and don’t need to be refrigerated, which makes them a perfect addition to dry dog foods, which are typically stored for long periods of time in unrefrigerated bags or plastic containers. If you use a good source like IsoNova®, you can expect a low ash content. Plus, dried egg products are free of eggshells and non-egg materials. Dried egg products can be a healthy addition to the diets of both cats and dogs. 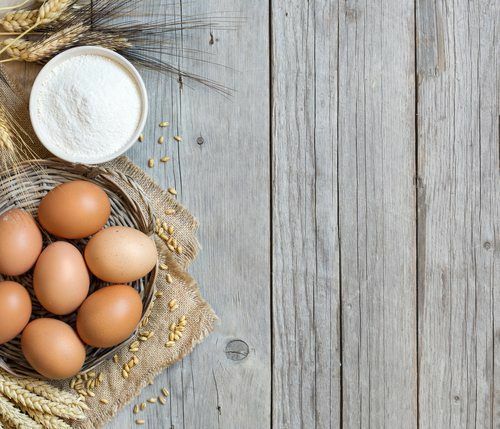 It is important to remember that “egg product” is not a substandard ingredient when compared to “eggs.” Dried egg product is just as safe as a whole egg – in some cases, it’s even safer.